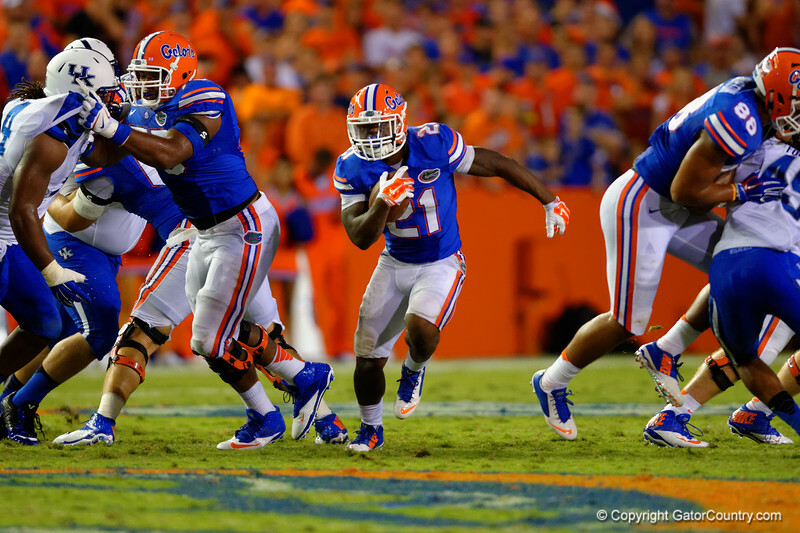 Florida Gators running back Kelvin Taylor gets the handoff, finds the open hole and runs for a first down in the first half. Florida Gators vs Kentucky Wildcats. September 13th, 2014. Gator Country photo by David Bowie.